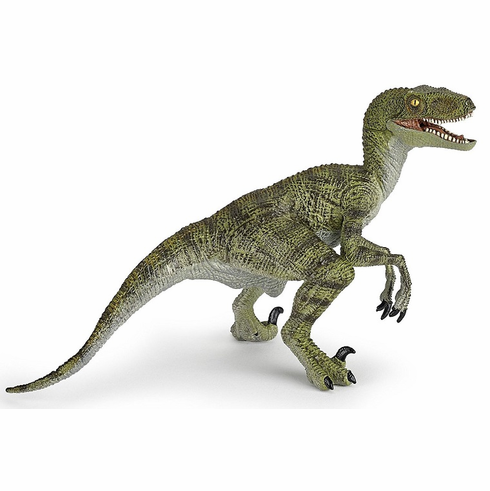 The Papo Green Velociraptor measures approximately 6"L x 4" T.
Velociraptor means "swift seizer" in reference to its fast and stealthy hunting skills. The velociraptor is best known from its starring role in Jurassic Park. The Papo Green Velociraptor #55058 is part of the Dinosaur Series by Papo.